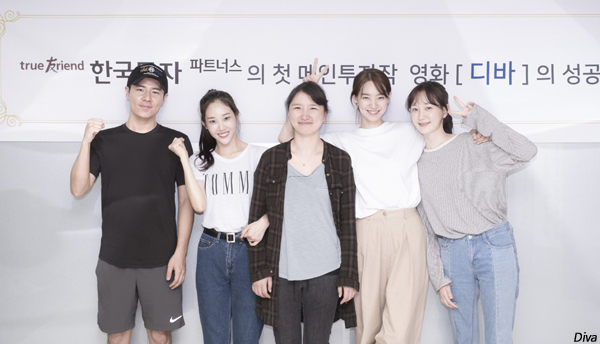 SHIN Min-a is getting ready to return to the big screen for the first time since the 2014 romantic comedy My Love, My Bride. From hit screenwriter and first-time filmmaker CHO Seul-ye, Diva went into production this month. The mystery-thriller will follow a professional diver known as ‘Diva’ who tries to recapture the memories she lost following a mysterious accident. A star for the last two decades, SHIN’s most well-known film credits include KIM Tae-kyun’s Volcano High (2001), KIM Jee-woon’s A Bittersweet Life (2005) and ZHANG Lu’s Gyeong-ju (2014). The film will also feature LEE Yoo-young, known for YUN Jun-hyeong’s FATAL INTUITION (2015) and Hong Sangsoo’s Yourself and Yours (2016). Also on board are new performers LEE Kyu-hyung (YOU CALL IT PASSION, 2015) and OH Ha-nui (Marionette). Director CHO is responsible for the screenplays of INGtoogi: The Battle of Internet Trolls (2013) and VANISHING TIME: A BOY WHO RETURNED (2016), both from director UM Tae-hwa. She was also the script editor for JANG Hun’s smash hit political drama A Taxi Driver (2017), which soared over 12 million admissions last summer. Diva is being financed by the Korean Investment Partners group, which was also responsible for TRAIN TO BUSAN (2016) and Along with the Gods: The Two Worlds (2017), among others.